Members can add photos to this site after logging in. Instructions on how to post your pics on our SmugMug account are located in the forum section. For pictures taken by Bungee Brent / Dr. Extreme Inc., check out his site at this link. Bungee takes lots of pics of our guests at the Sheetiron 300 Dualsport and Jackhammer Enduro. 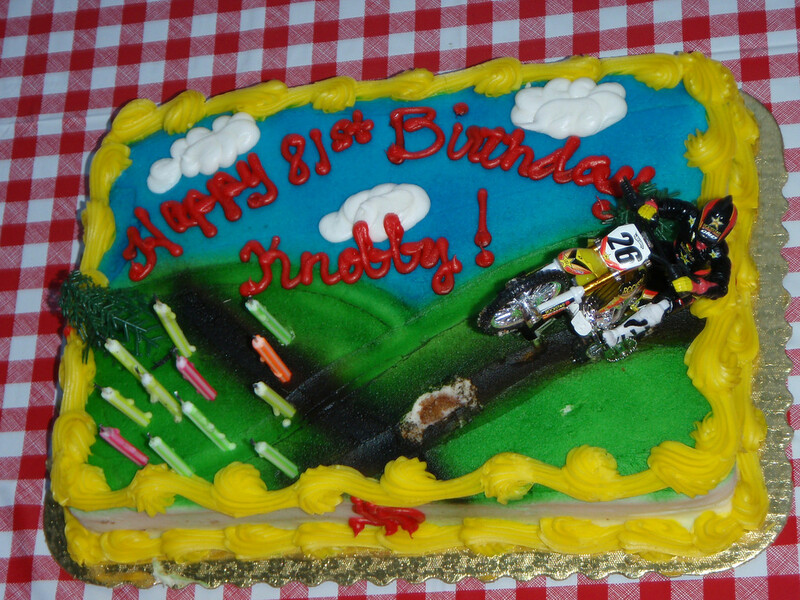 Knobby's Birthday party in Fouts. The Cake.